Internet Protocol in windows is one of the most widely used protocol around the world. Through the internet protocol, you can also filter network traffic without using any router or switch configuration. It helps you to block a port, its traffic for both inbound and outbound. You can learn this by going through this helpful tutorial on how to block ports and make your computer more secure than before. 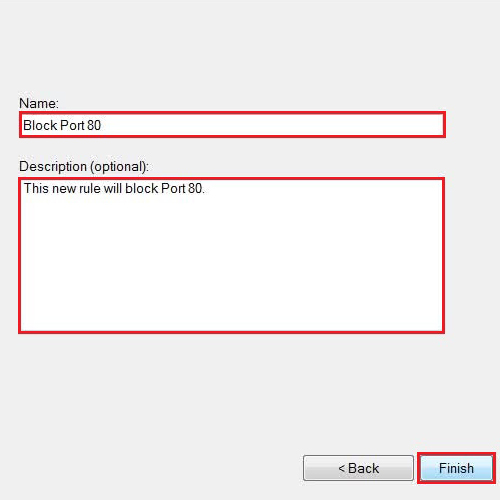 In this tutorial, we will guide you on how to block ports in windows 7. 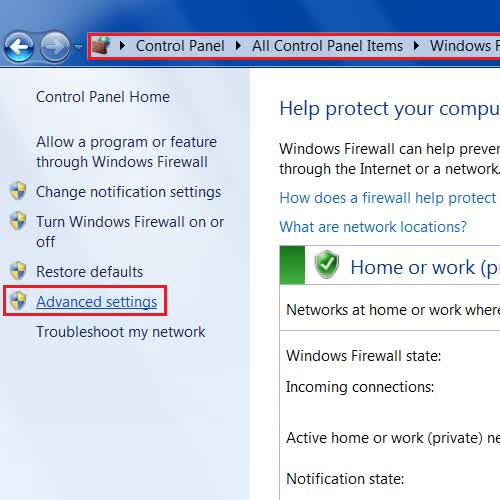 First of all, go to the “Start Menu”, open up the “Control Panel” and click on the “Windows Firewall” option. Once it has opened, click on the “Advanced Settings” option from the menu on the left corner of the window. 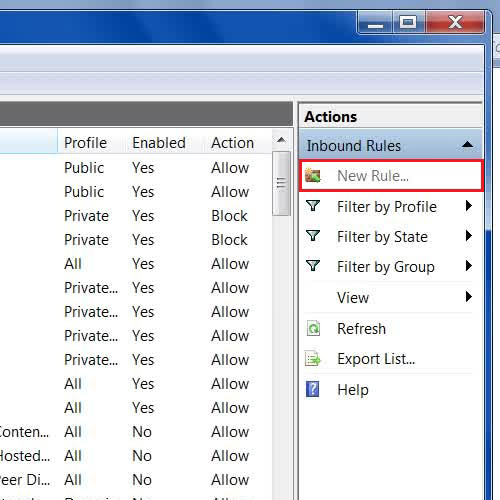 Once the advanced settings panel has opened, click on the “Inbound Rules” from the menu on the left corner and click on the “New Rule” option available in the menu on the right side of the window. Once you have clicked on the “New Rule” option, a wizard will open which will guide you to create a new rule. Now select the option of “Port” and click on the “Next” button to continue. 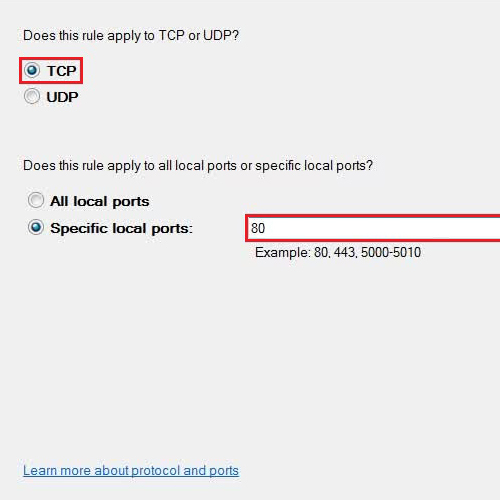 In this step, choose “TCP” and enter the port number which you want to block and click on the “Next” button to continue. 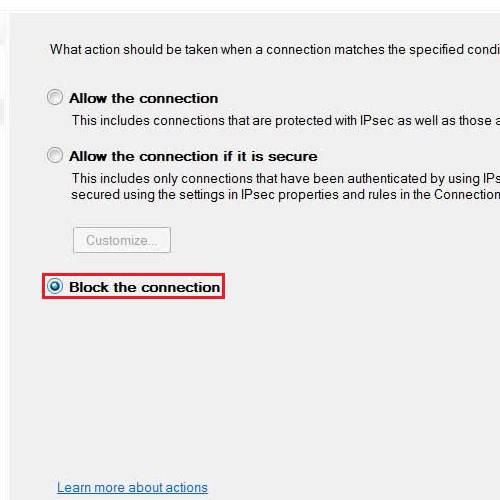 Now in this step, to block a port select the option of “Block the connection” and click on the “Next” button to proceed. Now choose the “Domain”, “Private” and “Public” options as per your requirements and click on the “Next” button to continue. In the next step, enter the Name of the New Rule, enter its description and click on the “Finish” button. 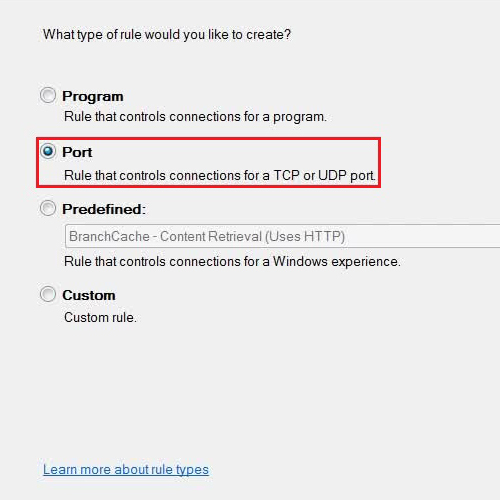 Now you can see that your newly created rule is displayed in the list which will block all traffic on your selected Port number. This way, from this tutorial you can learn how to block ports without using any router or any switch settings.